The specifications for the new upcoming Moto X4 smartphone were spotted in detail earlier this month. The leaked information suggested featuring 4GB RAM and 32GB of internal storage. But, a new set of specifications for the Moto X4 has been spotted on a benchmark website GFXBench that suggests the smartphone will come with 3GB of RAM and 16GB of internal storage instead of the previously leaked specification. Furthermore, the handset will run on the Android version 7.1.1 Nougat out-of-the-box and sport a 5-inch full-High Definition (1080×1920 pixels) display which is contradictory to previous rumors that hinted the smartphone to feature a 5.2-inch full-HD display. Under the hood, the smartphone is expected to be powered by a Snapdragon 630 SoC. In terms of optics department, the GFX Bench listing suggests that the smartphone sports a 16-megapixel camera on the front for taking selfies and video calling and a 12-megapixel sensor at the back. 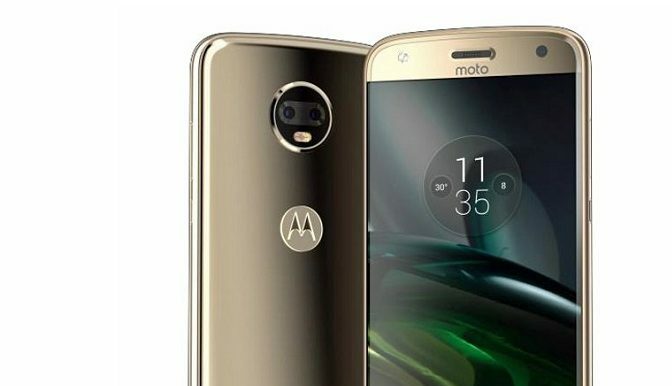 The Moto X4 is expected to come with a dual camera setup with a 12-megapixel and another 8-megapixel sensor at the back. Interestingly, the Moto X4 is expected to be the first non-Google smartphone to support the search giant’s Project Fi MVNO service that allows its users to simply switch seamlessly between the different sort of carriers. There is also a rumor that the smartphone will be going to come with a fingerprint scanner. Motorola has sent out media invites for an event on July 25 in New York City. We can expect the smartphone to launch in that event. Initially, the Moto X4 was expected to be unveiled earlier in June, but the launch was delayed.